Princess Royal University Hospital in Orpington, Greater London was built in 2003, on the site of the old Farnborough Hospital. 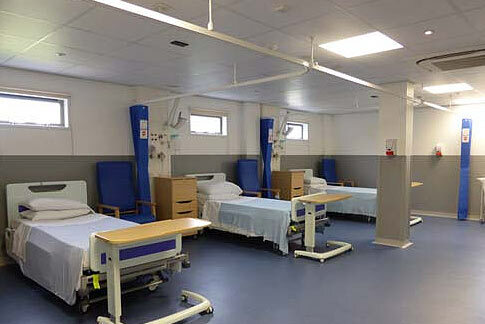 The unit is a dedicated area located adjacent to the Accident & Emergency Department where patients are assessed and cared for before a decision is made on where they are to be treated within the hospital. The chosen site was in the location of an ambulance bay which is partly above an underground car park as well as being tightly infilled on three sides between the hospital building. A modular construction was chosen due to its low mass as well as the tight time frame and space limitations on site. One third of the foundations designed to cantilever over the car park below. The project was completed in summer 2014 for £800,000.